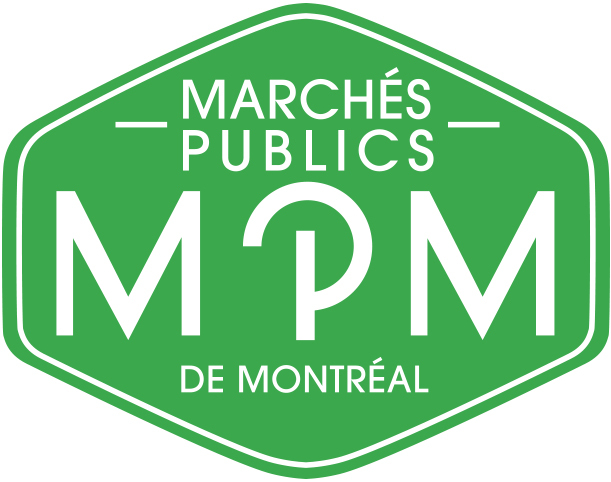 Public Markets of Montreal (PMM) is a corporation of 250 members, vendors and merchants from the city’s 15 markets, which include: Marché Jean-Talon, Marché Atwater and Marché de Maisonneuve. 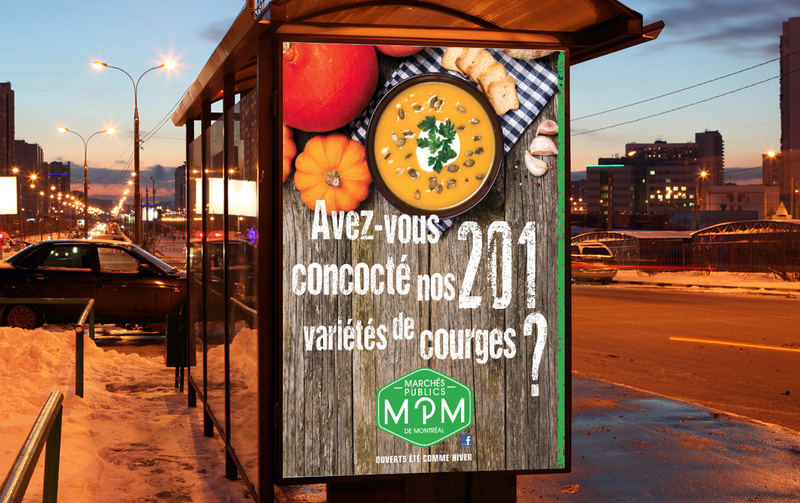 Objective: Public Markets of Montreal wanted to attract a younger client base. 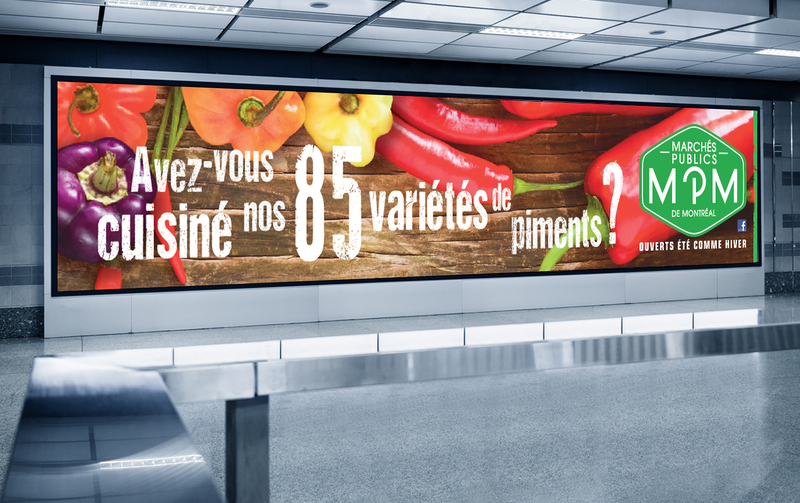 The company also wanted to promote a wide variety of fresh produce of all kinds to increase traffic to the markets. 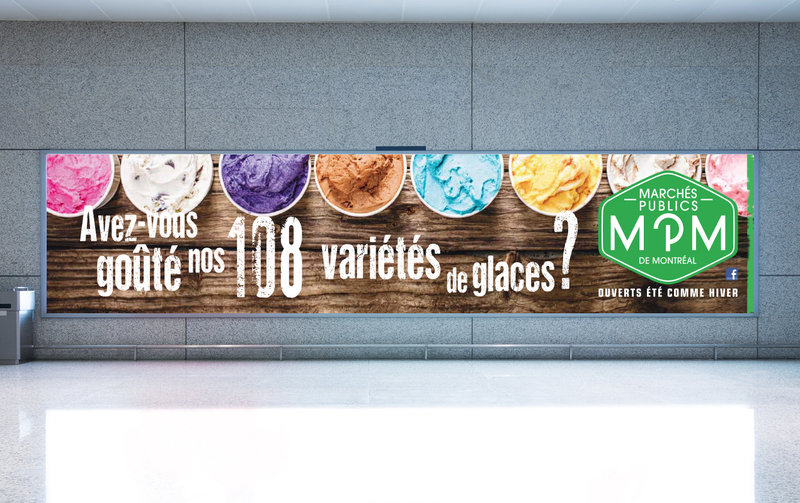 It was necessary to continue to promote awareness of the company name, beyond that of each of the markets in Montreal. – Fully integrated communication with social networks. 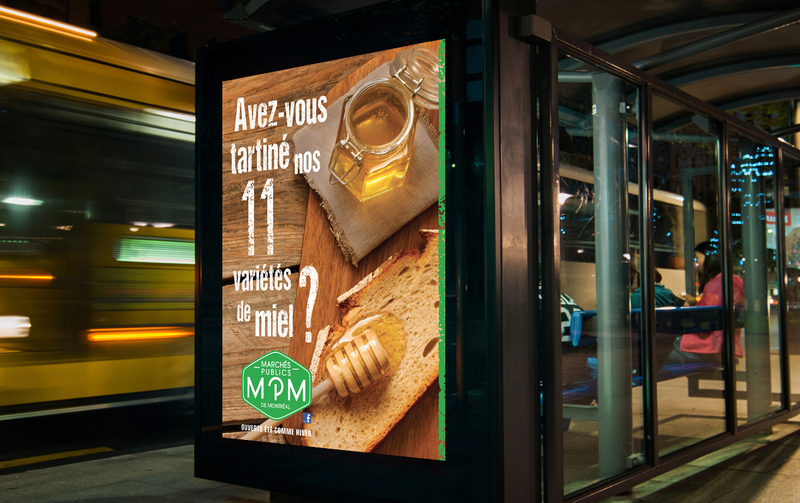 We created an advertising campaign that focussed on the least known products at public markets. For its part, the media plan was specially designed to expand the target clientele. It was aimed at both existing clients as well as at a younger target market. 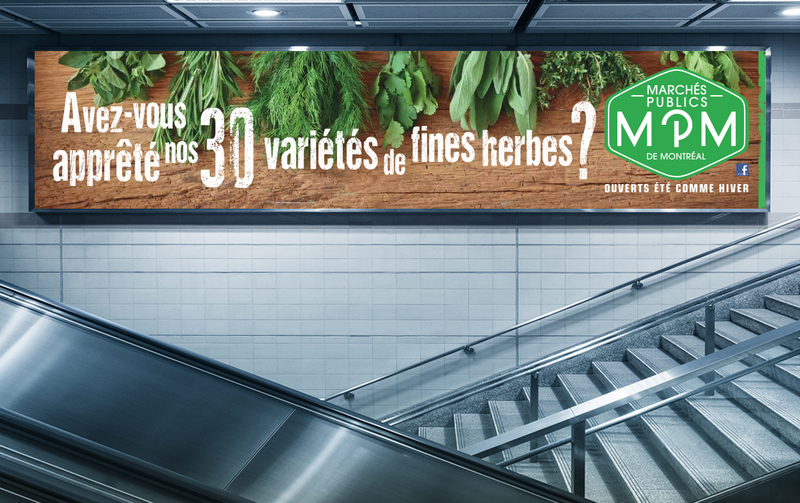 So we focussed the campaign on media directed toward young people, such as public transportation and social networks. 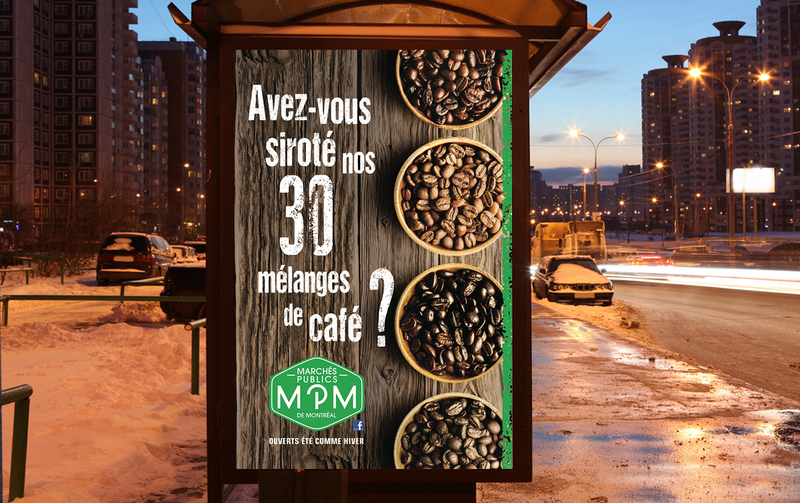 H20 communication staked its bet on the new MPM logo, in order to promote brand recognition and to drive its popularity. 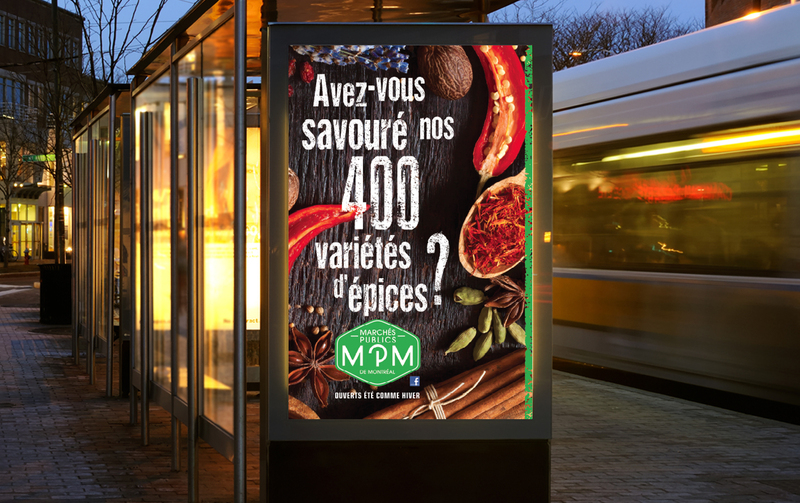 Results: With both the print and web campaigns, the ads have been viewed over four million times, which is a dazzling/meteoric rise to fame for MPM. As a result, the public markets have once again this year experienced a significant increase in their social media fan base, the major target of the company. We knew how to reach our goal.